I agree with Matt. I would be worried about dryness before heat. If the plants are well hydrated, they will handle the heat ok. Expect the leaves to wilt with direct sun light. The should perk up once the sun is off of them. Perhaps I've been lucky but I have never had vine borers attack adolesent plants. Usually they like a stem that is 1/2" or larger. Cover first 12 inches of vine with aluminum foil to "foil" the egg laying of squash borers. Thanks Marlene. Our plants are so very small and young, maybe the borers have no where to go in our stems yet! If any of you know Phil Pelitteri, the UW entymologist who's on TV and the radio all the time, he lives one block from me and we gab about garden bugs from time to time.I asked him about vine borers because they have ruined my squash almost every year. He recommended AGAINST row covers because 1) heat 2) inhibit growth/stem strength (if plant is straining under them like mine were, and 3) inhibit pollinators (more important once female flowers develop but this year everything's early). He suggested an organic product put out by Bonide called "Captain Jack's Deadbug". Active ingredient is spinosid and it kills eggs and worms. 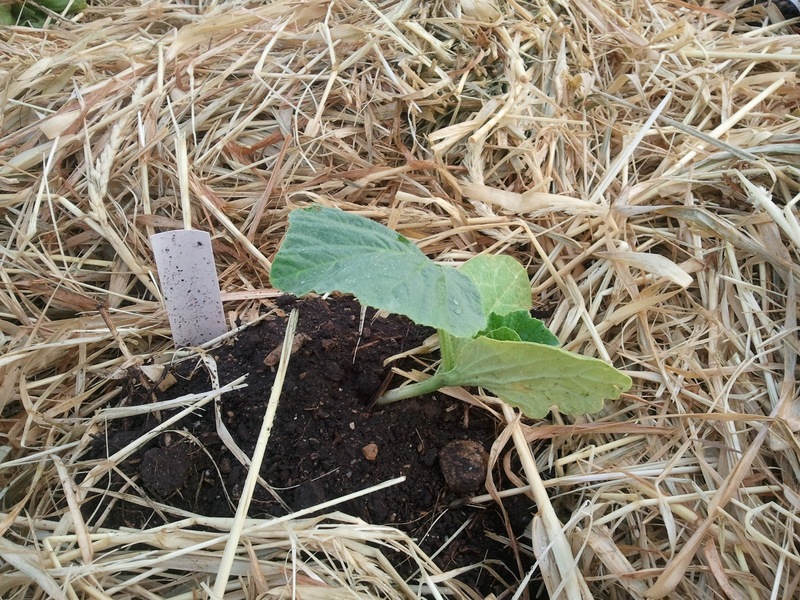 I got some at Jung's and have been spraying my squash plants 6" from base every 4 days. Will continue through June as I think borer wasps will be gone after that.